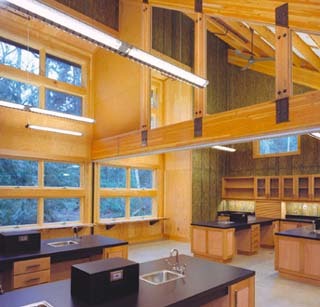 This laboratory classroom is part of the Puget Sound Environmental Learning Center, designed by Mithun. The Bainbridge Island project was a recent recipient of the American Institute of Architects’ Committee on the Environment's Top 10 Green Projects award. Are new urbanists fighting sprawl with sprawl?